The FoxFire offers all the benefits of wood heating plus fuel that is clean, compact and easy to use. The roaring flames are surrounded by a beautifully arched door that presents a timeless look and will complement any personal style. The fire viewing area features a super-efficient airwash system to keep the glass clean. With a large, easily removable ashpan and an 80 lbs. 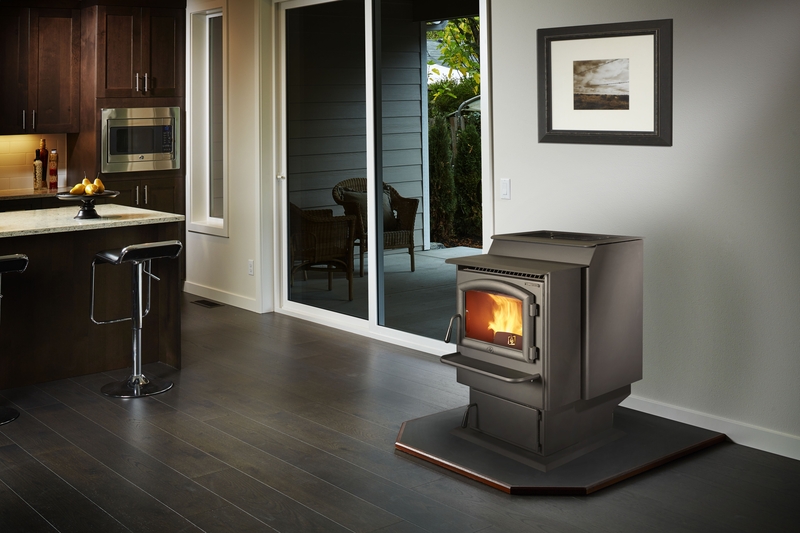 hopper capacity, this stove has the ability to produce extremely long burn times up to 47 hours when burning on a low setting. The FoxFire pellet stoves 25 pound cast iron heat exchanger significantly produces more heat when compared to traditional designs.